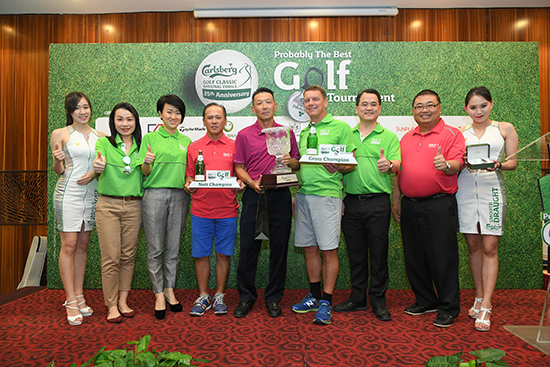 Gross and nett champions Wong Hong Nung (2nd from left) and Jason Siw Tong Larm (2nd from right) beat out 60 other finalists over 34 legs throughout Malaysia to lift the cup in the 25th anniversary of the Carlsberg Golf Classic. 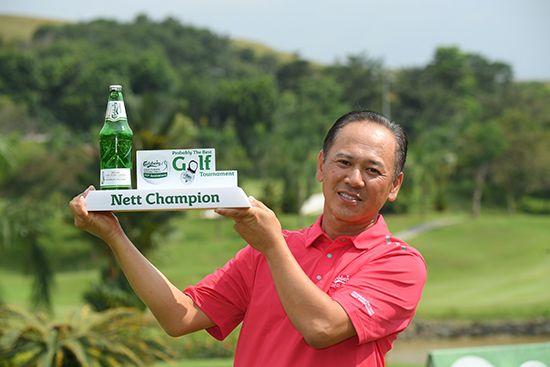 Putrajaya, 25 October 2018: The 25th Carlsberg Golf Classic (CGC) ended on a rapturous note with nett and gross winners from qualifying legs nationwide competing at the fun-filled finale held at the Palm Garden Golf Club at IOI Resort City today. 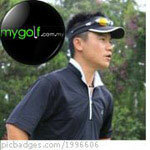 Gross champion Wong Hung Nung is no stranger to the game, having won the golfing gold medal for Malaysia in the 1989 SEA Games and winning many other championships since his retirement in 2010. He credited his winning game today to his “never-give-up” attitude that gave him an edge over younger competitors especially in the psychologically-challenging 17th and 18th holes, where he scored birdies. 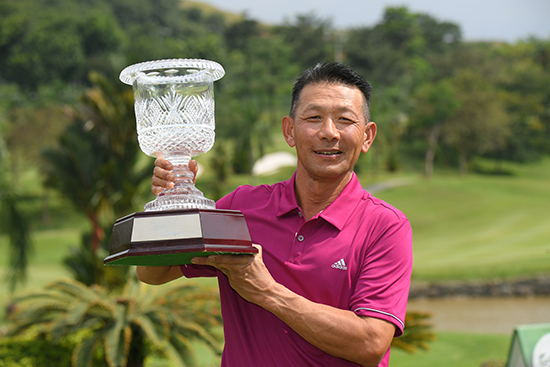 Jason Siw Tong Larm was surprised to be crowned the nett champion having participated in the tournament for the first time this year. With 12 years of golfing experience and a 13-handicap, Siw’s strategy was careful putting that shaved off vital strokes throughout his game. 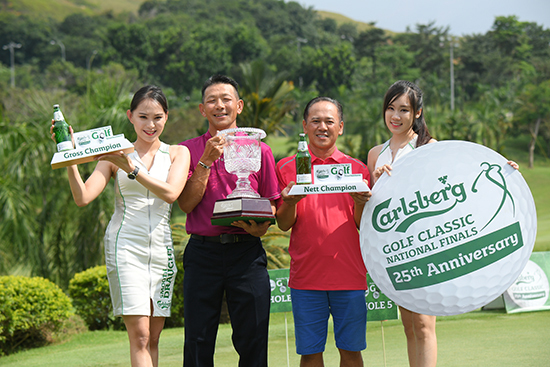 More than 50 VIP guests joined the 62 finalists of this year’s Carlsberg Golf Classic at Palm Garden Golf Club for a fun-filled game that rewarded players with novelty prizes, games, beer and cider on the green and fun activities as finalists battled it out for the championship. The CGC national finals saw 62 nett and gross finalists representing the best of the best among amateur golfers competing the biggest and longest-running amateur golf series in Malaysia. 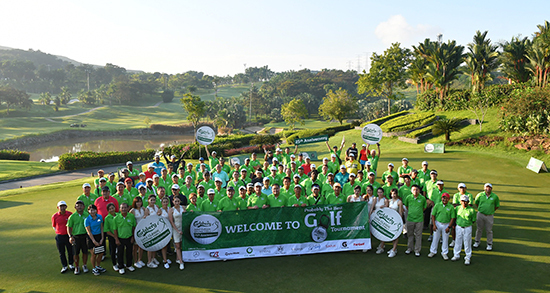 Since the launch in June, this year’s CGC toured 34 exclusive golf clubs throughout Peninsular Malaysia, Sabah and Sarawak, attracting an excellent turnout of more than 3,200 players enticed by approximately RM 2.6 million in sponsorship and prizes up for grabs in conjunction with the tournament’s 25th anniversary. Gross and nett champions Wong Hong Nung (5th from left) and Jason Siw Tong Larm (4th from left) proudly posing with management of Carlsberg Malaysia – Felicia Teh, Human Resources Director (2L), Pearl Lai, Corporate Communications and CSR Director (3L), Lars Lehmann, Managing Director (4R), Charles Wong, Marketing Director (3R), and Gary Tan, Sales Director (2R). “With the ongoing support from the golfing community in Malaysia, we are game to make Carlsberg Golf Classic better in delivering #ProbablyTheBest golfing experience in the years to come!” he added. Players also had fun posing for the most creative photo to win Carlsberg Smooth Draught which was also served to them icy-cold on the green and at the halfway hut. The tournament’s silver jubilee also brought with it an extra element of luck for two players who sank hole-in-ones during qualifying legs in Melaka and Selangor over two consecutive weekends. For their efforts, James Goo Chien Huey (A’Famosa Golf & Country Club) and Choo Kim Sun (Kelab Rahman Putra) won a Titoni Master Series Chronometer luxury timepiece worth RM15,000 each, which were presented to them at the prizegiving ceremony today. More than RM750,000 in prizes and goodies were up for grabs at CGC’s national finals prizegiving ceremony, with the top five nett and gross winners winning Mercedes Benz travel bags, Taylormade M2 and M4 drivers, Ogawa Tapping Foottee Therapy foot massagers, Taylormade Atrix golf bags, and Titoni Airmaster luxury watches. Finalists and guest golfers were treated to hospitality befitting the 25th anniversary of the biggest and longest-running amateur golf series in Malaysia. The 25th CGC finals also featured its biggest hole-in-one prizes of a Mercedes Benz E 200, a Mercedes CLA 200, Titoni Master Series Power Reserve GMT Chronometer, and an Ogawa Masterdrive 4D Thermo Care massage chair. However, none of the finalists managed a lucky ace and these prizes remained unclaimed at the end of the game. 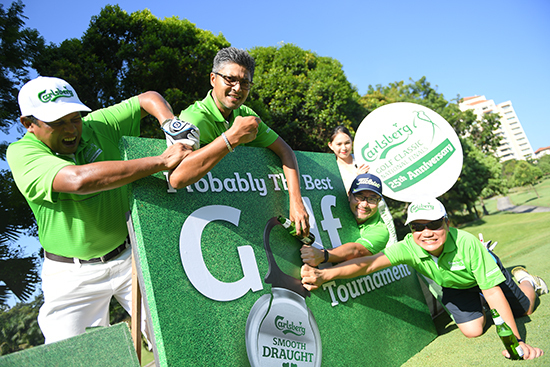 The official partners of the Carlsberg Golf Classic 2018 are Mercedes Benz, Cutter & Buck, TaylorMade, Ogawa, Titoni, Mars Whisky, Saujana Hotels & Resorts, Sunplay, Gatorade, ParGolf, and Lala Chong Seafood Restaurant.